The stories that museums tell are narrated by artefacts collected from that period. Those artefacts are cared for so future generations can enjoy and learn from them. When a fire rips through a museum with devastating results, those unique stories can be lost. Surrey Infantry Museum which was based at 18th century Clandon Park for more than 30 years, suffered such an incident. Specialist insurer Ecclesiastical and restoration experts Farcroft responded to save the collection from being lost forever. On 29 April 2015, fire engulfed Clandon Park destroying the Grade I listed stately home. The Surrey Infantry Museum, situated in its basement that houses artefacts and archives from the Queen’s Royal Surrey Regiment, was also destroyed, and the 85 firefighters tackling the blaze gave evacuation orders at 7.30pm as it was too dangerous to continue. 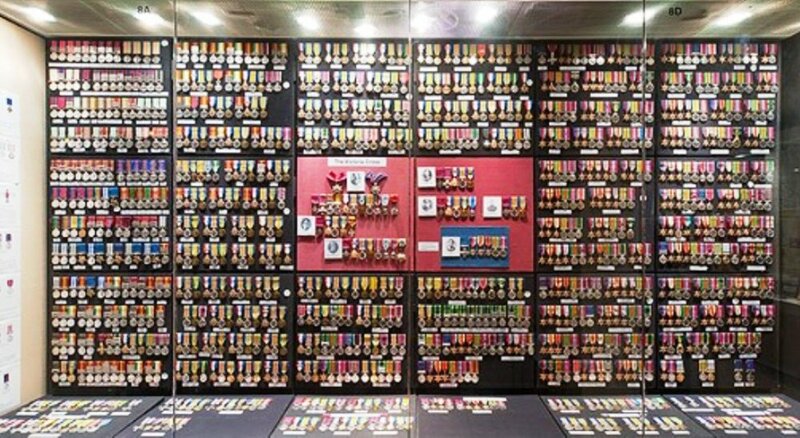 Among the museum’s collections, was approximately 2,300 pre-1936 medals presented on an impressive display wall, in cabinets with Perspex tops, and in a multi draw metal cabinet. The medal collection includes an unusual group of medals which reveal a little of the adventurous life of Major Frederick George Jackson of The East Surrey Regiment. Two medals are unique and were awarded before he had even joined the Army. Major Jackson died in 1938 and has since been memorialised in St Paul’s Cathedral. The collection also contained four replica Victoria Cross (VC) medals, the highest award for gallantry. One of these was awarded to WWI serviceman Arthur Fleming-Sandes in November, 1915 for most conspicuous bravery. Under bombing and heavy machine-fire, and surrounded by exhausted men, he picked up some of the bombs, stood on the parapet in full view, and threw them at the enemy. His gallantry revived and rallied the men and saved the situation. 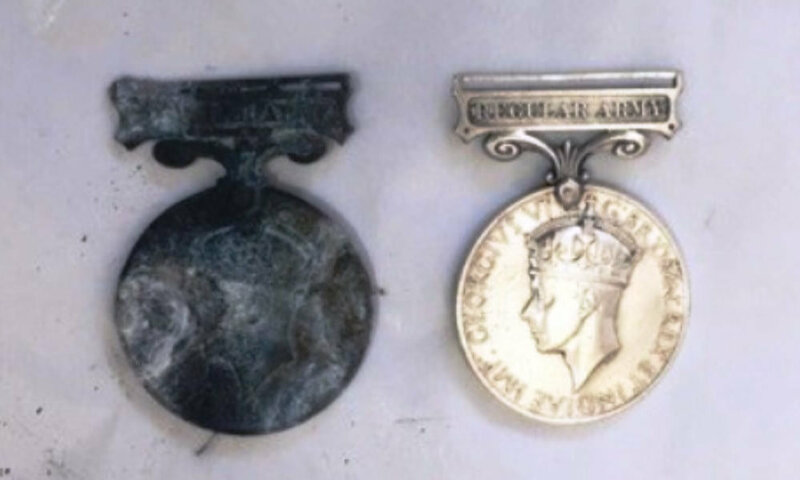 A third of the medal collection and all the medal ribbons, plus other irreplaceable artefacts such as the football famously kicked across No Man’s Land at the Battle of the Somme, were lost in the fire. And a large number from the wall and around the museum were badly damaged including Major Jackson’s and Fleming-Sandes’ VC. The salvage operation took two years, after which the gargantuan task to identify and sort the artefacts ensued. This was led by restoration specialists Farcroft, appointed by the museum’s insurers, Ecclesiastical. 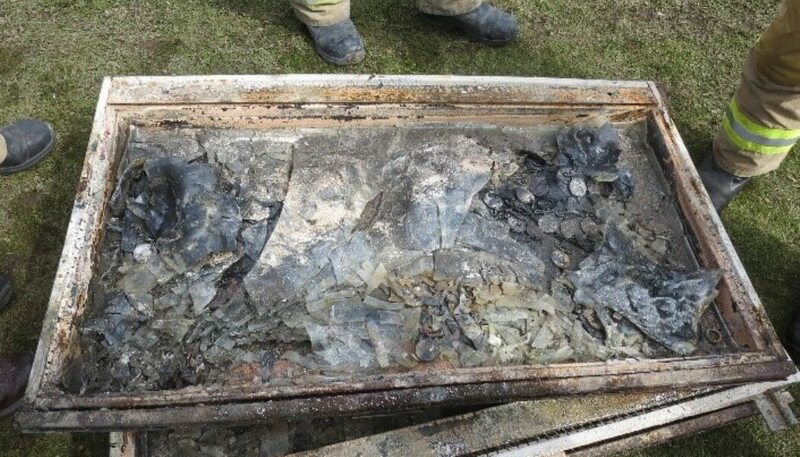 Around 1,400 medals that remained in the debris have since been painstakingly recovered and carefully processed minimise the risk of contamination. Many were covered in aluminium which had melted onto them during the fire so they had to be ‘freed’, before identification. Paul Humphris, Claims Specialist Consultant at Ecclesiastical says that his first site visit and initial inspection showed what appeared to be very little left of the museum. But as the team sifted through, they found gems that had survived. As a result the recovery team had to wear full protection suits specially made for the task and had to have regular blood tests to ensure they were not being exposed to harmful contaminants. As for Major Jackson’s medals and Fleming-Sandes’ VC, they have been recovered and are currently undergoing restoration and the museum is looking forward to returning them to public display.